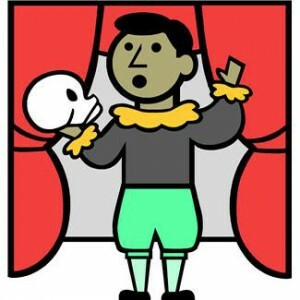 Even Shakespeare’s tragedies had humor or what has been called “comic relief.” Being able to laugh, including during crisis, seems to be a basic human need. However, in contemporary marketing the jury is out on whether humor is appropriate for a brand, especially when times are hard. Most recently, that issue has come up in regard to New Jersey Governor Chris Christie’s appearance on the late night comedy show “SNL.” He made fun of himself, including his blue fleece top. That sure did get headlines in the media. But not all were positive. For instance, in FrontPageMag.com, Daniel Greenfield argued that Christie showed poor judgment taking on such a light-hearted role when thousands in his state are still without power and many had lost their homes to Sandy. When deciding whether to incorporate humor in your marketing campaign, it is necessary to weigh the risks and rewards. Humor is a subjective entity. Not everyone agrees that something is funny. Timing is everything. A humorous television commercial which was made about insurance before Sandy might seem in bad taste after the storm. America’s Puritan background still prevails. Those settling the New World believed in all work and no play. That attitude has not gone away. Humor provides entertainment. Some contend that entertainment is a must in all messaging. (However, that entertainment does not have to take the form of humor). What people laugh at becomes memorable. People tend to bond with what distracts them from their cares. GEICO’s funny creatures helped turn an unknown insurance company into a brandname. When it comes to most tactics used in marketing, there are no absolute right or wrong answers. Each decision must take into account what segments are being pitched to, their values including their collective memory bank, and the most recent events which are shaping or reshaping their consciousness.